Who are Sarah and Andrea? 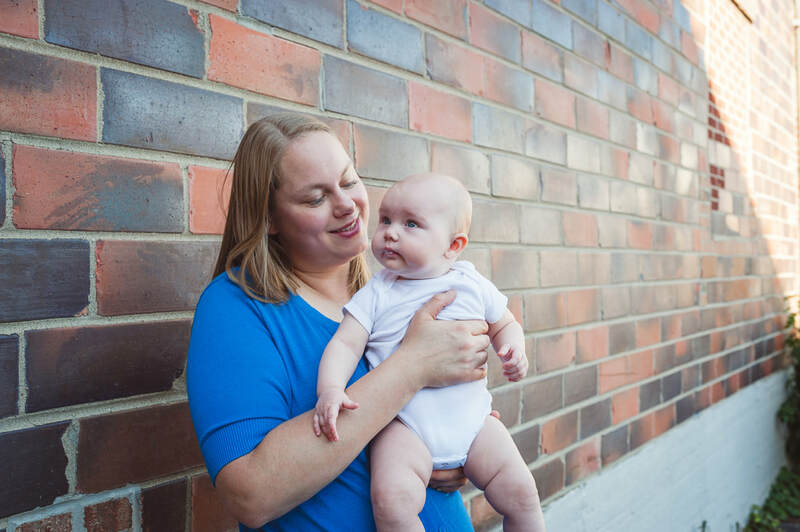 I'm Sarah Oldre and I'm a Certified Birth Doula and Owner of Zenith Birth Services. I've been serving women in the Cedar Valley since 2013. I'm passionate about supporting women in their birth choices. One of my favorite things about being a birth and labor doula is working with women prenatally to assist them in finding out their options and feeling good about their choices. Some of the very best ways to have a satisfying birth experience are to be informed, be a part of the decision making process, and feel listened to, supported, and valued. ﻿A doula can help with all of these things! I've been married to my college sweetheart, Tim, since 2005 and we are blessed with four children, Brannon, Ronja, Phoenix, and Corrie. Besides a doula, I'm a homeschool mom, play keyboard at my church, and perform as a classical percussionist with local ensembles when my doula schedule allows. I enjoy babywearing and I'm a Volunteer Babywearing Educator with Babywearing International. Also, Tim and I are licensed foster parents. I'm a member of Fusion Birth! Check out our resource lists for everything pregnancy, birth, and postpartum! Hello, my name is Andrea Lind, and I’m a Birth Doula. I have always had a great interest in pregnancy, birth, and breastfeeding. I worked as a scrub tech in Labor and Delivery at a local hospital, which gave me many chances to view both vaginal and surgical births up close and increase my understanding of the birth process. Through my own births I have been able to gain firsthand knowledge and experience of a wide variety of birth situations and interventions. My hope would be that this will give me a greater understanding and empathy towards what my clients are going through. I look forward to supporting you and helping you to work toward the birth experience you desire. It is my goal to provide you accurate information about your choices in relation to pregnancy and birth, and to support you in the choices you have made. My priority is to help empower you to be confident in your decisions and to support you in advocating for yourself and baby. I have been married to my husband Chris since 2005. He brought two daughters into the marriage and I brought one. Since then we’ve had eight more children and adopted a teen from foster care. I appreciate having the opportunity to homeschool my children. As a family, we enjoy making music together, serving at our church, and staying active outdoors. Why Zenith? Childbirth is a time when you have to be strong, for yourself and for your baby. It's also a very successful time. What's more successful than bringing another life into the world?! Also, I grew up on Zenith Avenue, so it's near and dear to my heart. I believe that childbirth is a zenith in a woman's life, and I would be honored to support you through it! Photo credit: Share Your Narrative.